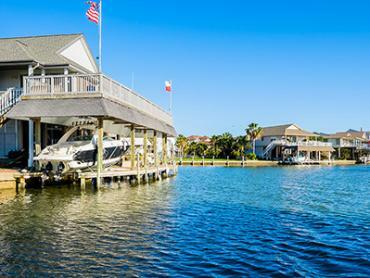 Galveston fishing means one thing to anglers: The Galveston Bay Complex. 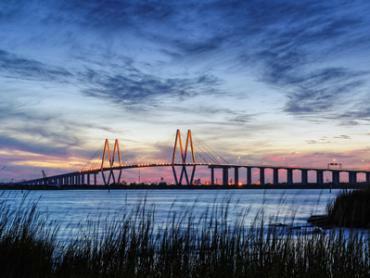 The biggest estuary this side of the Gulf, this is generally considered the strongest contender for the Lone Star State’s favorite fishery. And being well set-up for tourism, the island has something for everyone - not just fishermen. 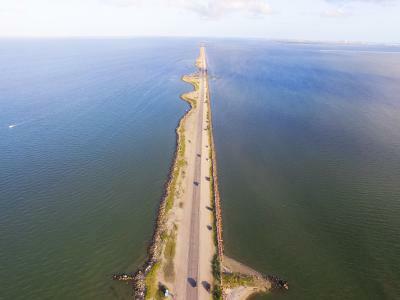 Everything’s bigger in Texas, and the Galveston fish are here to prove it. 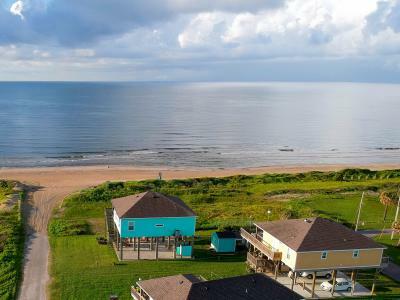 Whether you’re looking to test some of the state’s finest inshore fishing grounds, or chase after the monster pelagics roaming beyond the continental shelf, there is no place you would rather be than right here. 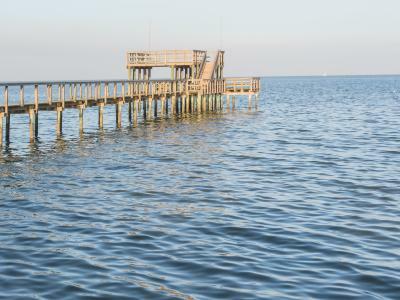 Trout, Redfish and the popular Flounder fill the bay, while Sharks and Kingfish can be caught just a few miles from the coastline. 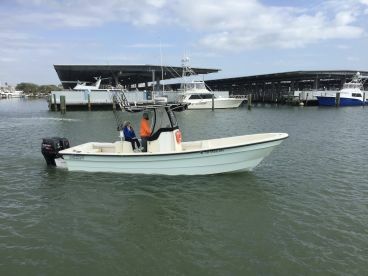 Venture further offshore and look for Kingfish, Snapper, and Jack Crevalle. 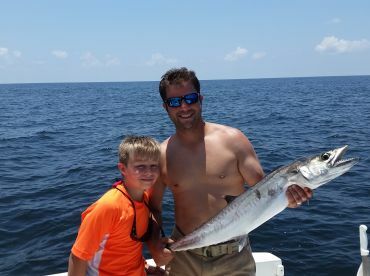 Head over 60 miles out, and Galveston deep sea fishing will put you up against the likes of Dorado, Tuna, Wahoo, and even the elusive Blue Marlin. 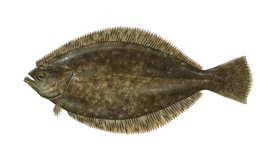 And for those anglers that think they’ve tried just about everything, the proud Texan tradition of flounder gigging is an absolute must! A valid fishing license is required to fish in the public Texan waters, along with a freshwater or saltwater stamp endorsement in case you're planning to take fish. A One-Day All-Water Fishing License can be purchased, which does not require an additional stamp endorsement. Licenses for consecutive days can be bought as well. 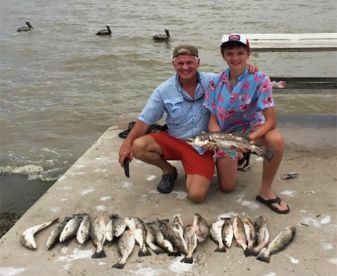 Wading in the bay with artificials to target strings of Speckled Trout and Redfish is something special, with Galveston fishing charters also having a lot to offer both the live bait and lure angler. Fishing for Speckled Trout with live shrimp under a popping cork can get amazing bites. Flounder gigging is something you shouldn’t miss - this is more like hunting that fishing, requiring you to spot the Flounder on the seabed and - bam - making your move. Come in December for best Galveston Flounder gigging action. Weather can be cold, windy, and wet. But in between showers you will enjoy catching Sheepshead and Drum near the jetties and large Redfish and Drum in deeper water. 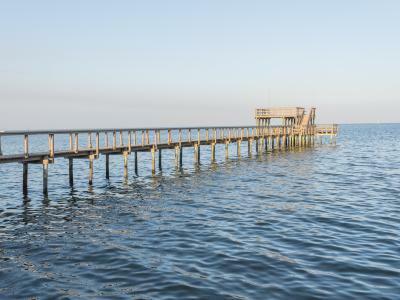 February sees foggy mornings and large Redfish and Trout being caught over deeper ledges. 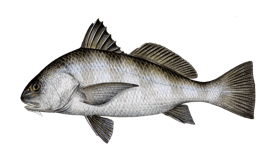 Drum and Sheepshead are caught near the jetties and make for some great eating. 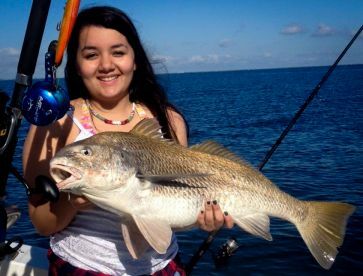 Water temperatures increase and the fishing heats up just in time for Spring Break. It can be windy, but the back lakes and marshes provide protected waters full of smaller Redfish. 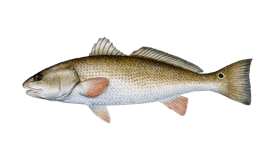 Speckled Trout and Redfish increase as the water heats up, with Sheepshead still a good catch and a good meal. 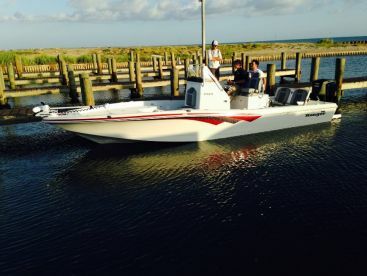 Shark fishing gets exciting and Bull Reds and huge Black Drum appear. Enjoy 80-degree temperatures and sunny skies. 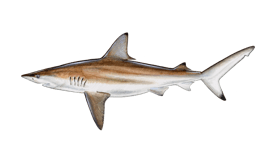 Trout and Redfish fishing is good, and you can also catch Bull, Hammerhead, Black Tip, Spinner, Sand Bar, and many more Sharks. 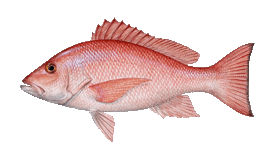 Red Snapper season opens in Galveston! 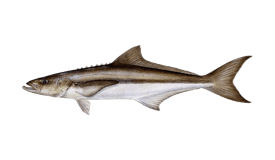 You can also try night time Flounder gigging for something different, or trolling nearshore for Kingfish, Cobia, and more. 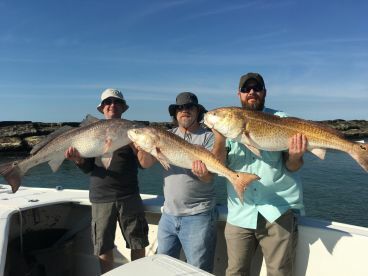 Limiting out on Speckled Trout, heading offshore for Red Snapper, exploring the Gulf for Cobia and Mahi Mahi, and gigging for Flounder and Drum… July in Galveston has it all. Warmer temperatures see bay fish head into deeper water. At the same time, Kingfish come closer to shore for some line-screaming action. Flounder gigging is heating up. Daylight hours shorten and temperatures start to drop. Bull Redfish start to come into the bay in huge numbers to spawn, with 30-40 fish being caught in a day sometimes! 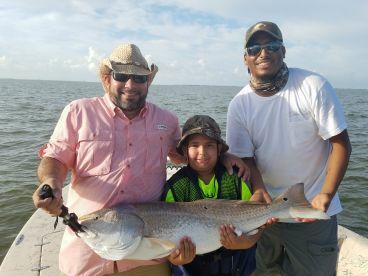 Bull Redfish and Trout are spawning, leading to incredible numbers of fish being caught in and near the bay. Flounder gigging is at its best - these trips book up fast in October. Flounder gigging season closes. 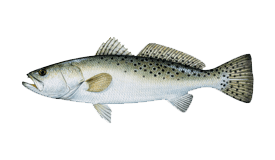 Weather conditions become unpredictable, but Speckled Trout and Redfish are plentiful in the back lakes and marshes. Flounder gigging season reopens and this is the best time to catch a GIANT. You can also fish the back lakes and marshes for Speckled Trout and Redfish. 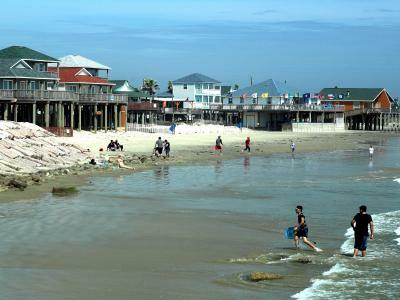 What would you recommend to anglers fishing in Galveston, Texas for the first time? 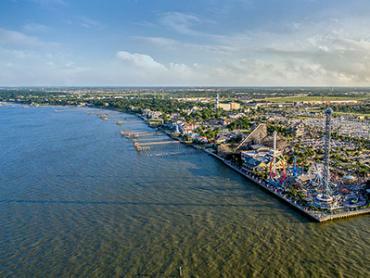 What would you recommend to anglers fishing in Galveston, Texas for the first time?